2 What Is Ionized Water? 3 How Does a Water Ionizer Work? 5 Is It Safe to Use Water Ionizers? 6 What Are the Benefits of Drinking Ionized Water? Did you ever take the time to think about all the potentially harmful components inside the water you drink? This is, perhaps, one of the things that we tend to overlook. But water plays a key role in our overall health and wellbeing, which is why it should be free from contaminants. This is somehow connected to the topic we’re going to approach today – that of water ionizers. 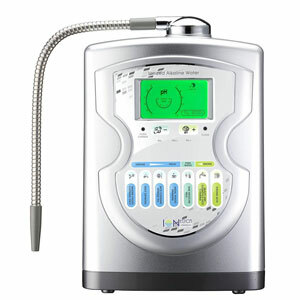 What is the purpose of the best water ionizer? Should you invest in such a unit or not? Recently, researchers have discovered the numerous benefits linked with alkaline water – that is water that has been previously ionized. The pH level of the water measures the acidity or alkalinity level of the water. Investing in a water ionizer allows you to adjust the alkalinity or acidity of the water you drink, depending on what your body needs. But we’ll get into more detail in our guide. 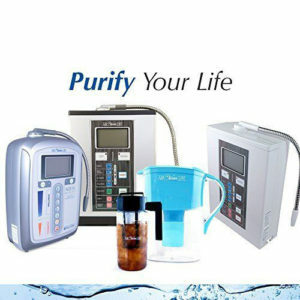 Now, go ahead and read our water ionizer reviews and pick the unit that addresses your needs best! 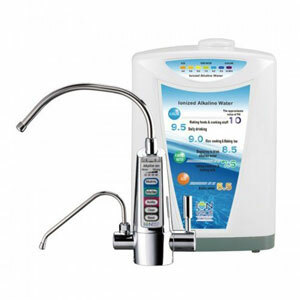 It goes without saying that a water ionizer is a considerable investment. However, this one is truly worth it, due to the many benefits it provides. Particularly, this is really compact, weighing 18.4 pounds only. At the same time, since it is an under-counter model, it is a discrete addition to your kitchen. Moving on to the pH levels facilitated by the unit, they range from 1.7 to 12.0. More specifically, you can choose from nine different pH settings – namely 4 acidic settings, 4 alkaline settings, as well as a neutral setting. 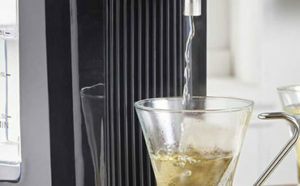 A detail worth outlining is that you can enjoy superior, good-tasting water without any chemical additives whatsoever. As for the filtration system, it is a dual ultrafiltration system that aims at removing roughly 99.99 percent of the harmful contaminants that may be found in the water. Another notable advantage is its ease of use and installation. As for potential inconveniences, the fact that the replacement cartridges are quite expensive should be mentioned. 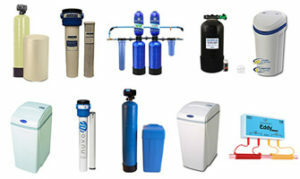 Air Water Life is acknowledged as a reputable manufacturer of water ionizers. This particular unit is one of their best-selling models, due to its efficacy. Its pH level range starts at 3.0 and ends at 11.5. On a different note, this unit is characterized by optimal oxidation-reduction potential (ORP). In other words, this means that it is highly capable of facilitating antioxidant water, thus, equipping your body to fight against free radicals. 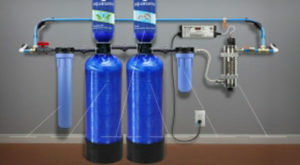 Furthermore, the Air Water Life Aqua ionizer incorporates carbon water filters that are capable of handling roughly 4,000 liters before requiring replacement. The carbon filter media does an excellent job at purifying the taste of water while expelling common contaminants such as chlorine. In regard to the water options it facilitates, you can choose from seven individual alternatives. Namely, the acidic lower pH setting is more than ideal for doing chores such as cleaning your kitchen counters. Meanwhile, the higher pH alkaline setting is suitable for cooking food or drinking water. Still, the disadvantage of this unit is that it is power hungry. At the same time, it is quite bulky. If you don’t have a lot of space at your disposal, this could be a bit of an issue. Featuring a modern, stainless steel design, this ionizer is easy to use and very practical. One of our favorite features about this is the fact that the water flow rate is fast. Every 30 seconds, it produces one gallon of water. Also in regards to its construction, partly, the ionizer is made from BPA-free food-grade plastic. Therefore, you can rest assured that your water is in safe hands. Similarly to the product, we presented previously, this one also comes with a double filtration system. Therefore, the pH level will be regulated, while the water will be filtered from harmful contaminants. This is accomplished thanks to the dual filtration system and the electrolytic antibacterial system. Perhaps a unique characteristic is that you benefit from the lifetime warranty. This offer is quite unique, isn’t it? Even if, for the most part, users were pleased with this product, there have been some complaints concerning the vagueness of the installation instructions. 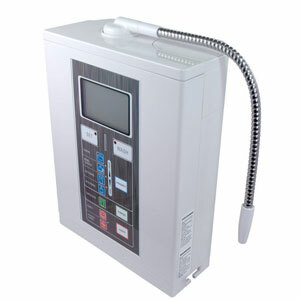 If you were to choose this water ionizer, then you could regulate the pH level, so that it is somewhere between 4.5 and 11. Depending on your individual preferences, you may also proceed to adjust the antioxidant value of the water. 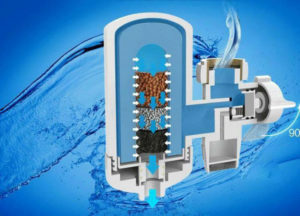 In order to complete the ionizing process of the water, the unit utilizes platinum-finished titanium electrolysis plates. Additionally, thanks to the machine’s 7-color LCD display, you can choose from the seven available pH levels, and do that easily. After each use, the unit undergoes a routine 10-second electrolysis cleaning cycle. This ensures that your water is safe to drink. In regard to the construction of the unit, the ion membrane filter is made from non-toxic, temperature-resistant material. 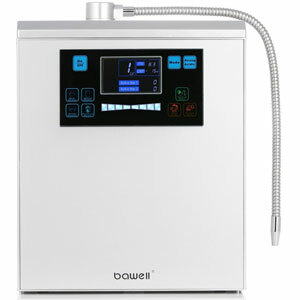 In order to provide a range of water qualities, the ionizer incorporates distinct filter life settings. However, some users deal with frustrating issues concerning the adjustment of the strength levels of the water. Moving on to our fifth recommendation, this unit is capable of depleting 99.99 percent of more than 220 known water contaminants from heavy metals such as lead, to herbicides, pesticides, bacteria, and pharmaceuticals. Furthermore, it delivers 9-9.5pH water, which aims at balancing the body’s acidic levels. At the same time, it addresses your antioxidant specifications. More specifically, it provides your much-needed levels of molecular hydrogen – which is renowned as one of the most beneficial antioxidants for the body. That’s because it aims at diminishing the damage exercised by free radicals. The design of the unit is also eye-catching, featuring a versatile, beautiful titanium/stainless color. It is also quite compact; therefore, even if your kitchen isn’t that spacious, you won’t encounter any challenges, from this point of view. At the same time, after getting this, you’ll notice that your water will taste much better. 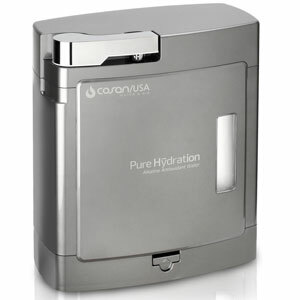 Acknowledged as a reputable water ionizer, this unit doesn’t disappoint. You can adjust the selection of the pH level of the water, depending on your preferences. The unit incorporates a range of ionic plates. These plates depend on electricity for determining the ions to discharge or charge. Moving on, we’re talking about a rather small, compact unit. This is good news, especially for people that don’t have a spacious kitchen at their disposal. What about the water options you can choose from? There are seven alternatives, as following: 2 ionized acidic presets, 1 non-ionized purifier, and 4 ionized alkaline continuously variable. The technology featuring the machine is state-of-the-art, as you might expect from such a unit. At the same time, the construction is superior, indicating durability and unmatched craftsmanship. The plates are made from platinum coated titanium, being durable, energy-efficient and dependable. After each use, the unit automatically cleans itself by reversing polarity. And lastly, the 5-year warranty offers peace of mind. If you don’t have space at your disposal to invest in a regular water ionizer, then this compact unit will be right down your alley. You can easily accommodate it under the sink so that you can truly value the counter space you have at your disposal. It features a panel control, with five individual buttons and indicator lights. This will enable you to easily select the function you want. Meanwhile, the sleek dual spot faucet is designed for optimal functionality and convenience. The carbon filter is efficient and practical. More specifically, it aims at purifying the water, eliminating thus traces of contaminants, dirt, pesticides, chlorine odor, and other potentially harmful elements. After you’re done using the unit, it automatically cleanses itself. We’re referring to the 10-second cleaning electrolysis cleaning process. At the same time, you don’t have to worry about cleaning the unit manually, as this isn’t required. A potential inconvenient we’ve noticed is the fact that the unit lacks a comprehensive manual with useful info. Categorically, this is the first question that comes up. 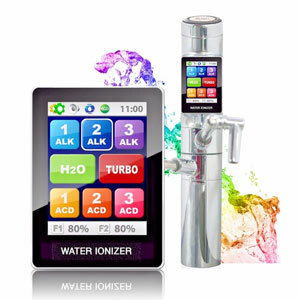 In simplest terms, ionized water is the water that has been transferred through an ionizer machine. Expressly, a water ionizer features titanium and platinum plates. These exchange some of the platinum and titanium ions with the water. What is the result? The result is water whose pH level is more alkaline. At the same time, it’s worth noting that, through this process, the water is also purified. We could refer to ionized water as artificially alkaline water. Moreover, ionized water is also referred to as electrolyzed reduced water. That’s because it is believed to diminish the harmful effect that oxidation has on the human body. Nevertheless, we’ll expand more on the specific benefits of ionized water later on in the article. The next question that follows is: what is the actual difference between drinking regular water and ionized water? The difference lies in its components. For example, alkaline water is different due to its particular sweet taste. This is widely attributed to the difference in alkaline level, which has to do with the levels of minerals such as calcium, magnesium, sodium, potassium, etc. At the same time, in lines with a study from the journal The Annals of Otology, Rhinology, and Laryngology, drinking water with a pH level of 8.8 can actually contribute to relieving the symptoms associated with acid reflux. The comparison has been made between bottled and alkaline water, and this is what the researchers found. Expressly, normal tap water has a neutral pH level – of seven – if we were to address this on a scale from 1 to 14. On the opposite side, ionized water has a significant mass of electrons that donate to electron-thieving active oxygen. In other words, we could refer to it as being live water. Researchers say that it has a similar atomic structure as the waters that originate from glacial streams. 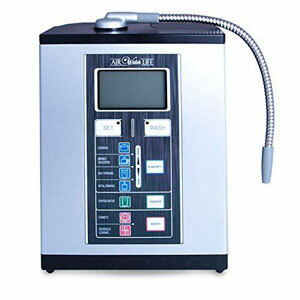 Before investing in a water ionizer, it makes sense that you want to find out more about its operation process, right? If you were considering purchasing a water filter, then knowing a bit about the product range is highly advisable. At first glance, the operating process of a water ionizer might seem difficult to grasp. Normally, the water ionizer is linked to the kitchen water supply. This way, before you use water for drinking, cooking or cleaning, the unit will regulate the low voltage electrolysis on the tap water. So, it’s as simple as this: the normal water gets inside the unit, and when it leaves the machine, it is ionized. Note that this type of unit doesn’t add anything to your water. What they do, though, is convert the bicarbonate minerals present in the tap water into hydrate materials. That’s because the latter are more alkaline. Therefore, they are easier to absorb by the body. This is actually what the process of electrodialysis entails. 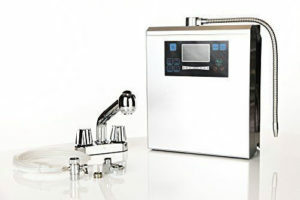 When the water enters the ionizer, two separate streams of water come out. One of them is acidic and one of them is alkaline. Usually, it should be used for drinking and cooking, due to the benefits alkaline water offers. Basically, tap water encompasses a solution of magnesium bicarbonates and calcium. The water ionizer utilizes electromagnetically-charged plates to separate the magnesium and the calcium from the bicarbonates. Therefore, the mission of the ionizer is pulling them apart and redirecting two separate streams of water. The thing with water ionizers is that they are complex machines, which are characterized by individual features. Therefore, what you may find in a specific product, you might not get with another one. For instance, when shopping for water filter pitchers or whole house water filters, the range of products on the market might throw you off. Leaving that aside, though, we believe that the following aspects should definitely be present on your list of priorities. Categorically, one of the main reasons why most people consider investing in such a unit is its capability of producing alkaline aka ionized water. 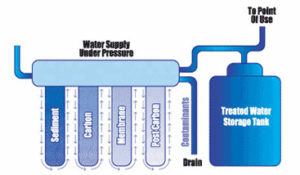 This is connected to the unit’s capability of changing the water’s pH level. So, the pH level of the water clearly indicates the alkalinity or acidity level. If the pH level is 1 – then this would mean that we’re dealing with very acidic water. Meanwhile, if the pH level is 14, then this would make it very alkaline. 7 would be neutral. As you’ve seen in our reviews, depending on the machine, some deliver quite a significant pH range, giving you flexibility and freedom in this respect. If you’re wondering why this even matters, hear us out. Each specific band is designated for particular utilization. For example, water whose pH level is low is suitable for cleaning and disinfecting. On the other hand, mildly alkaline water is healthy for us to drink on a daily basis. On top of that, alkaline water is suitable for cooking. Of course, it’s entirely up to you if you need all these options. You should determine how you plan on using the machine and afterward make a decision accordingly. As you’ve read in the previous section on the way in which a water ionizer works, the plates of such a machine are of great importance. Why is that? That’s because the plates are where the water is converted from acidic to alkaline. They come in direct contact with the water, which is why it is important to know the manufacturing material of the plates for instance. That’s because this is also likely to impact their efficacy level. Also, as a rule of thumb, the higher the number of plates a unit has, the better. That’s because this translates into more power. Basically, a unit equipped with more plates is capable of producing water whose pH range is larger, and whose ORP is much better (we’ll get right on to that). Usually, the more affordable models come with 5 plates, whereas the pricier models incorporate 11 plates. However, it’s also worth noting that, if the unit has more plates, it will consume more power; not to mention that it will be pricier. The ORP range stands for the oxidation-reduction potential. This refers to a water ionizer’s capability of oxidizing and diminishing the level of oxidation inside the body. Theoretically speaking, the lower the value of the ORP, the healthier the water it is for you to drink. Oxidation is the natural process that turns an apple brown, for instance. At the same time, it is the process that determines rust to appear. This is facilitated by taking out electrons. The same happens inside the human body: oxidation damages the cells, the DNA, the proteins, so on and so forth. The substance that takes the electrons is known as a free radical. This is where antioxidant foods come in – these aim at protecting the body from the effects of the free radicals. The same principle applies to ionized water, which is believed to have the same effect, according to many researchers. That’s because the water restricts the free radicals’ capabilities of attacking your body, therefore, making it more vulnerable and susceptible to disease. To that end, it might be a good idea to choose a machine with a low ORP value. The lower the ORP value, the more capable the unit you’ll get. 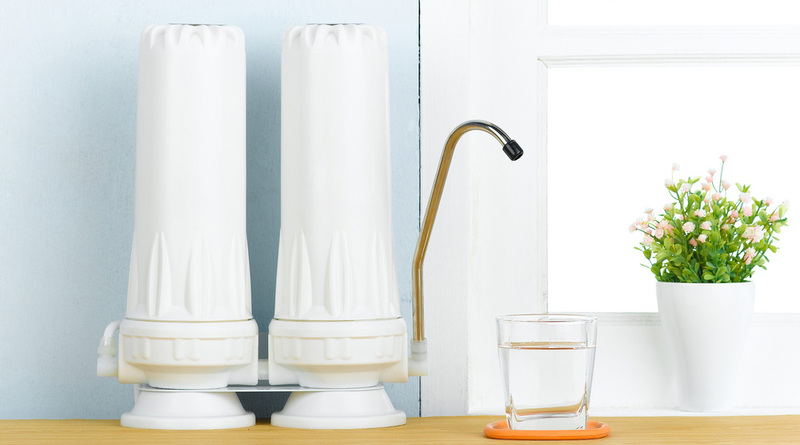 Moving on, another thing that you should keep in mind during the shopping process is the built-in water filter. The majority of these symptoms come with this useful characteristic. For example, in the case in which you have a well water supply, it might be a good idea to choose a model whose filter is more powerful, so that it would easily cope with the water pressure without difficulty. In this view, details such as price and lifespan come into the equation, as well. Note that you will have to replace the filter after a certain period. Therefore, this implies maintenance costs that should be taken into account at the time of the purchase. Normally, the lifespan of the filter ranges from six to twelve months, but this isn’t a general rule, as it depends on the manufacturer and how often you use the filter. The installation process of a water ionizer is another consideration if you don’t want to be caught off guard when you try to install the machine and you don’t succeed. Nevertheless, the good news is that the installation process is usually easy and to the point. This applies, particularly, in the case of countertop units. In fact, in most cases, you won’t even need any tools or anything of the kind. Nevertheless, things change a bit when it comes to under counter units. The installation process becomes a tad more time consuming and elaborate. But still, that doesn’t make it impossible; it simply means that it’ll take a bit more than a few minutes. You can have a look at this video, which shows the steps you should follow to install an under-counter water ionizer. Another decision you’ll have to make is choosing between counter-top and under counter units. This will depend mostly on the space you have at your disposal. If you have limited counter space, then it would make more sense to pick an under-counter unit than a counter-top one. You might have noticed by reading this far that most water ionizers represent significant investments. That is to say, this isn’t a purchase you make every day. This is why the product you choose should come with a warranty. A generous warranty offers peace of mind, especially when acquiring something as important as a water ionizer. Is It Safe to Use Water Ionizers? Usually, even if some products have an overflowing number of benefits, there are still some potential drawbacks that could come in the way. Does this apply in the case of water ionizers? Yes, this applies in our scenario as well. While there are many claims concerning the benefits of ionized water, some researchers and doctors indicate that the research supporting the positive claims isn’t convincing enough. Some say that, before the ionization process, the quality of the source water is fundamental, to ensure that the ionized water is truly beneficial. This is why some recommend using reverse-osmosis. 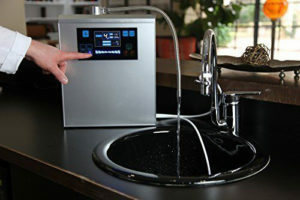 This way, you can be sure that the water is purified before you proceed with connecting an alkaline ionizer. Overall, though, it is safe to drink ionized or alkaline water. That’s because it includes natural minerals that your body can benefit from. Nonetheless, you should continually check the mineral levels inside the water, to ensure that what you’re drinking is good for you. What Are the Benefits of Drinking Ionized Water? Considering that ionized water is artificially alkaline water, their benefits pretty much overlap. However, while many benefits associated with ionized water are speculated, there are still some aspects that are definitely convincing. One of the most compelling benefits is that ionized water is characterized by antioxidant properties. Therefore, what you get is an abundance of hydrated minerals, with excellent antioxidant potential. At the same time, ionized water is said to taste better than regular water. However, we guess that this is a matter of taste, as each has his/her own preferences in this view. Meanwhile, it is believed that ionized water has great benefits for your skin. That’s also thanks to its antioxidant potential. Overall, ionized water is considered to maximize your immunity. FAQ: How to Install a Water Ionizer the Right Way? We’ve already briefly talked about the installation process. There are several steps you should follow, in the case of under-counter units, in particular. Firstly, you have to connect the machine directly to the water line. In order to do that, you might need to uninstall the sink. But this isn’t necessary, depending on your kitchen. Afterward, it’s time to focus your attention on the faucet converter. Of course, the next thing you do is actually connect the dots. In order to do that, the metal tube has to be attached to the unit. By using a screwdriver, you should position the elbow to the inlet of the ionizer’s unit. From that point onward, after connecting the hoses correctly, you can proceed with repositioning everything in its place. FAQ: How Long Does Ionized Water Stay Ionized? Typically, the antioxidant properties of ionized water are prone to dissipate in roughly 18-24 hours. Meanwhile, the pH level is likely to drop in about three days. However, if you store it accordingly, alkaline water should preserve its initial properties for approximately a week. 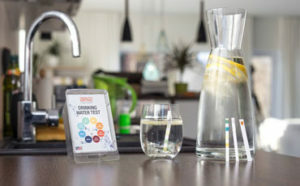 Check out the home water testing kits and don’t wonder whether or not your water is contaminated. So, did you find the best water ionizer for you? We hope that most of the questions you had on the topic have been covered in our guide. Our aim was to make it as comprehensive as possible, which is why we included our water ionizer reviews, as well as a bunch of guidelines and recommendations for the shopping process. One thing is for sure, while the benefits of ionized water are yet to be confirmed by subsequent evidence, there are still some convincing studies on the topic. At the same time, there isn’t any evidence pointing out that drinking ionized water could be potentially harmful. Therefore, considering this, investing in a water ionizer might be a sensible thing to do, especially if you’re concerned about your health, and you want to ensure that the water you drink is nutrient-full and safe. If you have any other questions, you know what you have to do! Leave us a comment! Until next time!